Hendford Manor, halfway along the eastern side of Hendford, was originally built about 1740 for Rev. James Hooper, a Yeovil solicitor. It is a fine town house of Ham stone ashlar with a Welsh slate roof between coped gables, of two storeys with an attic and basement. The Coach House is a Grade II listed building and is set to the northeast of Hendford Manor house, is thought to be contemporary with this early phase of the Manor House. It is of two storeys on a rectangular plan. 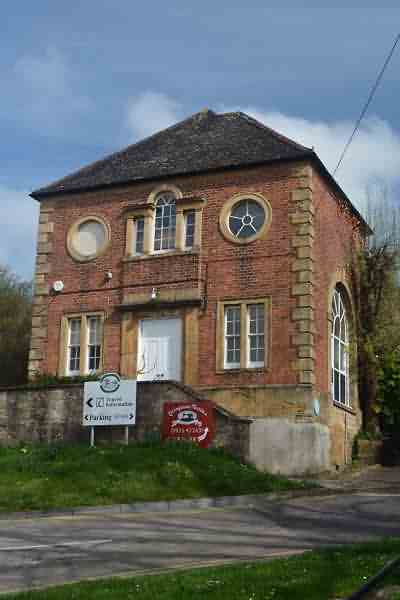 Former Coach House. Early Rectangular plan, with slight end projection in south flank; 2-storey. 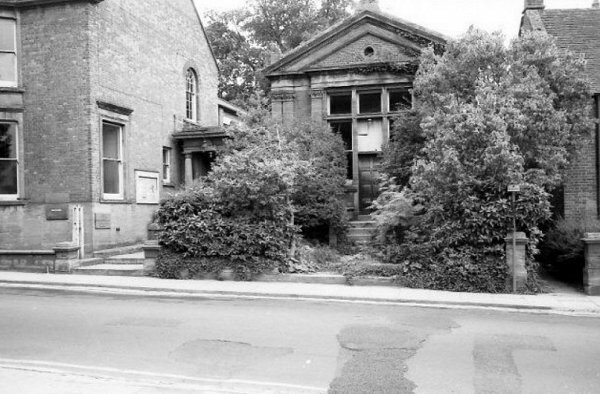 Main entrance in narrow west elevation of 3-bays with deep stone plinth and approach stairway. Central pair of 3-panel doors has simple stone surround supporting cornice: on each side at ground floor level narrow pairs of 8-pane sash windows set in raised surrounds with plain central mullions. Venetian window over entrance door flanked by 2 circular windows with 5 radial glazing bars (the left-hand side false). South side elevation of 5-bays, centre 3 wider but otherwise a repeat of west elevation: doors now replaced with 16-pane sash windows. Outer bays project slightly and have high semi-circular arched openings now glazed in, no windows over. Moulded stone gutter all round: other two elevations much altered. The Wyndham Museum was originally the billiard room of No 28 Kingston (see Gallery below). 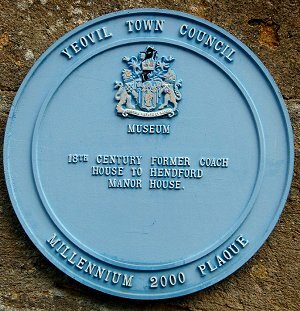 The museum was the gift of William Wyndham to the town and, together with the magnificent gun collection of Henry Stiby, formed the origins of the later Yeovil Museum. 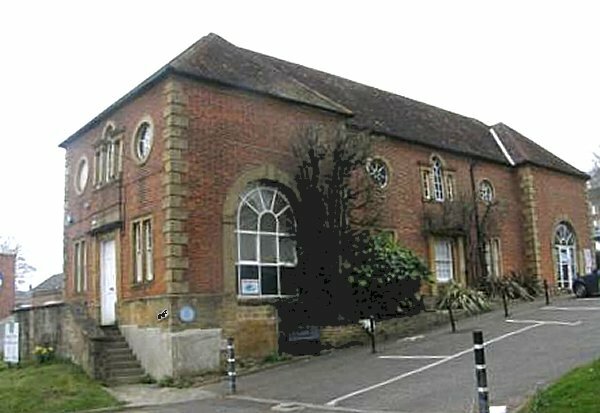 The museum was later housed in the municipal offices in King George Street and then, for many years, in the Coach House of Hendford Manor. 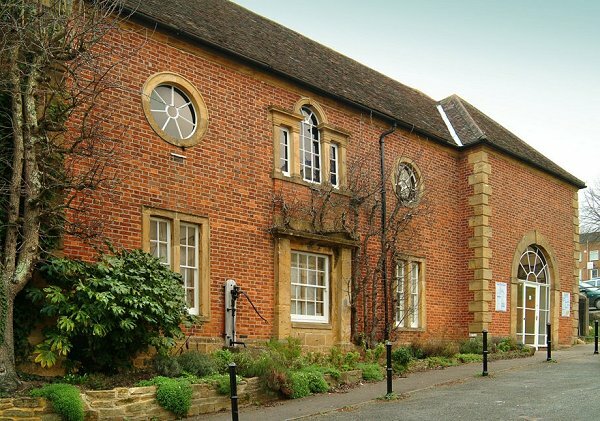 In 2011 the District Council, in a decision based purely on economics rather than the wishes of the electorate, relocated its town centre museum collection from the former Hendford Manor Coach House to the Community Heritage Access Centre in Artillery Road on the edge of town. Indeed, the word 'Community' is something of a misnomer since the community at large rarely visits and not that many even know of its existence. The word 'Access' is an even greater misnomer as it is almost inaccessible unless you have a car, you have to telephone for an appointment (I've never yet managed to get an appointment within two weeks) and it will never be seen by visitors to the town because of its remote location. Once inside it is, most sadly, a glorified storage shed with the town's collection crammed in with no apparent order. To be honest, it is a disgusting shame that our heritage is hidden away, no matter what the cost savings. End of rant. 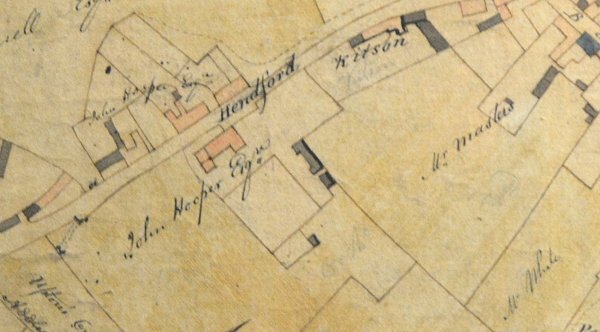 A section of E Watts' 1806 map of Yeovil with the Hendford Manor Coach House at centre, shaded black, and to its left is Hendford Manor itself, shaded pink and annotated as the property of John Hooper Esq. The coach entrance at right seen from Hendford. 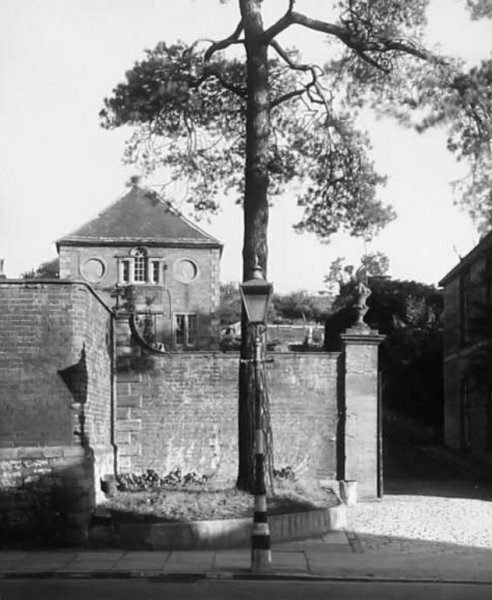 At centre left is the Coach House and at extreme right is just glimpsed the flank wall of Hendford Manor itself. Photographed in 1942. 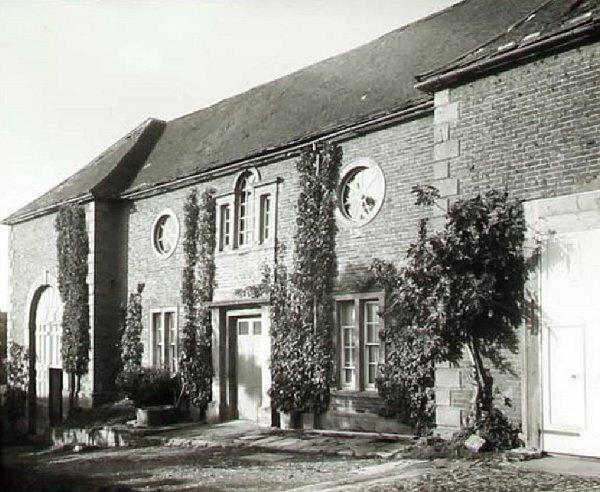 The south elevation of the Coach House, photographed in 1942. 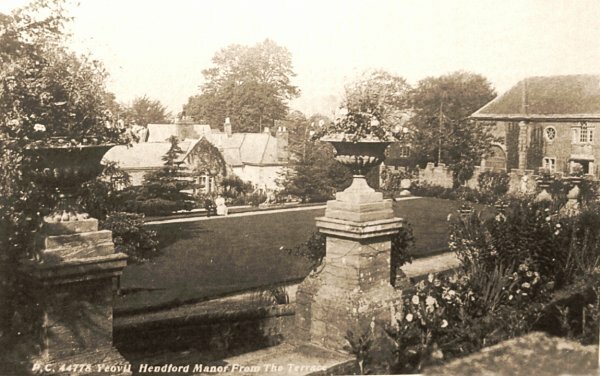 A postcard, dated 1911, showing the formal gardens behind Hendford Manor with the coach house at right. This area is now the approach to the Octagon Theatre. 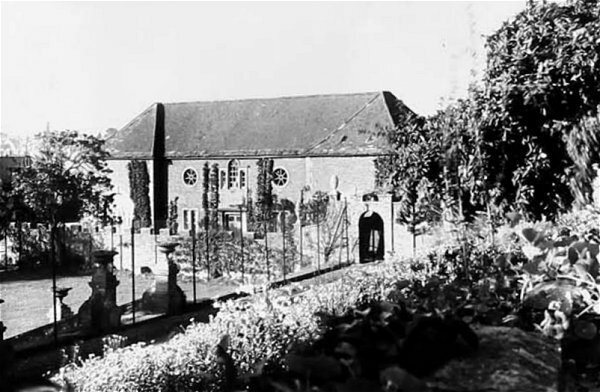 The Coach House, photographed from Hendford Manor gardens in 1942. Henry Stiby's study at 5 The Park. 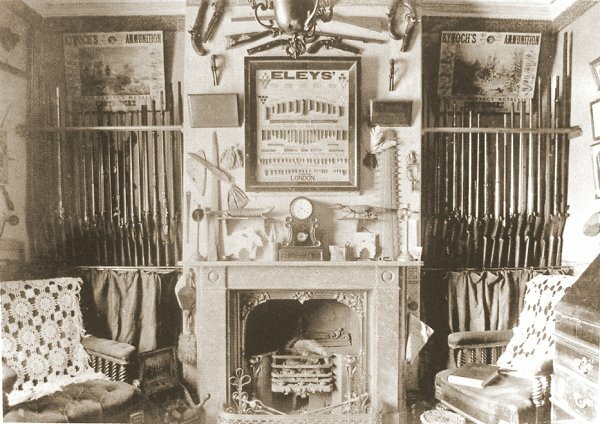 His gun collection was donated to the Wyndham museum and is now, most sadly, locked away in the Council's store at Lufton. Hendford Manor Coach House photographed in the late 1990s. .... and seen in 2014. 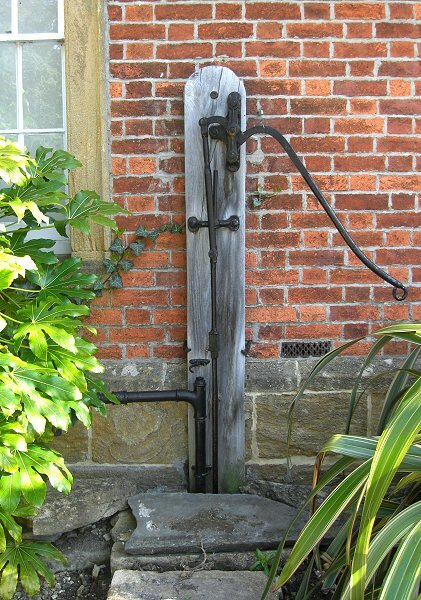 This old water pump, pretty much the sole survivor of some two hundred that were once in Yeovil, stands alongside the Hendford Manor Coach House. Photographed in 2014. 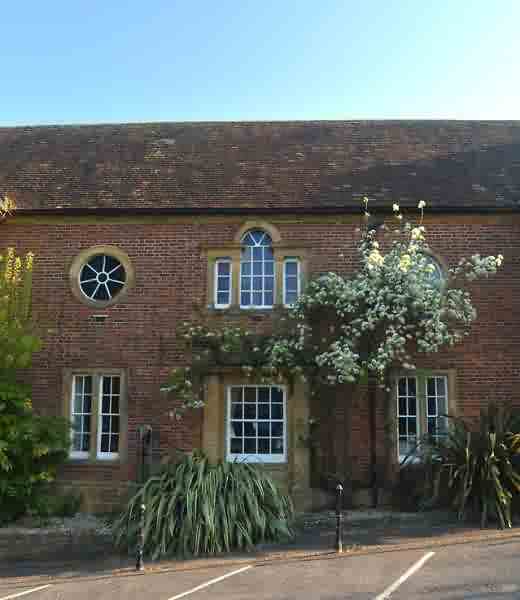 The south elevation of Hendford Manor Coach House. Photographed in 2017. Window detailing of Hendford Manor Coach House. Photographed in 2017.